On Tuesdays, there is the luncheon club from 12.30pm to 3pm where you can enjoy a home cooked lunch and then enjoy a ‘Knit and Natter’ if you want to get involved. The afternoon is £4. On Wednesdays, it’s the amazing ‘Magic and Memories Club’ from 12.30pm to 2.30pm. It’s an opportunity for people with dementia, their carers, their family and friends, or in fact anyone who wants to attend, to get together and enjoy themselves. You can reminisce, talk, laugh, and have a good old dance and sing-a-long. You can also enjoy afternoon tea – all for free. On Thursdays, there will be line dancing! 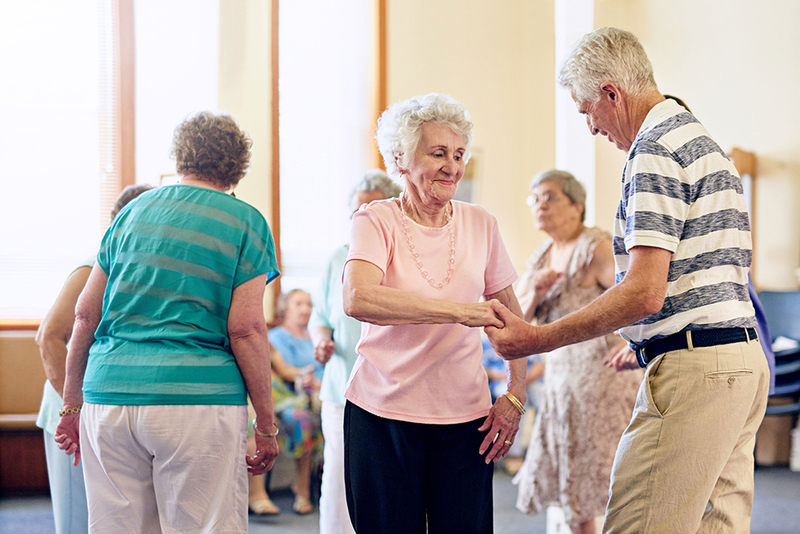 If you’re a pro or have never tried line dancing before, you can come along and join in from 11.30am to 1.30pm. You can also get to know everyone over a cuppa. This session is £3. On Fridays, it’s time for a lovely afternoon of afternoon tea, quizzes and raffles. Come along from 1pm to 3pm for £5. Anyone who wants to have more talking and laugher in their lives, as well as improve their mental health and wellbeing, are welcome to attend. Why not bring along someone who you think could benefit from the sessions?